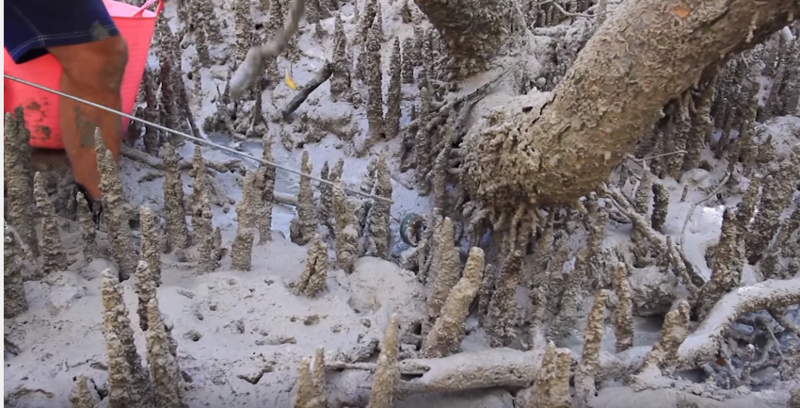 Mud crabs, or scientifically known as scylla serrate, are crustaceans found in the mangroves, estuaries, and mud flats. Within their habitats, they are found, you guessed it, in the mud. Why are these crabs so highly sought after and how exactly do you find and catch them? Read on to find out. Despite their not-so-appetizing name, these crabs are delicious to eat and like stone crabs, they have a lot of meat. They are pretty robust species as well and will eat a good variety of organisms in the water and are tolerant of a wide range of water conditions. Because of that and the fact that they grow very rapidly in captivity, there is a high demand to sell them. 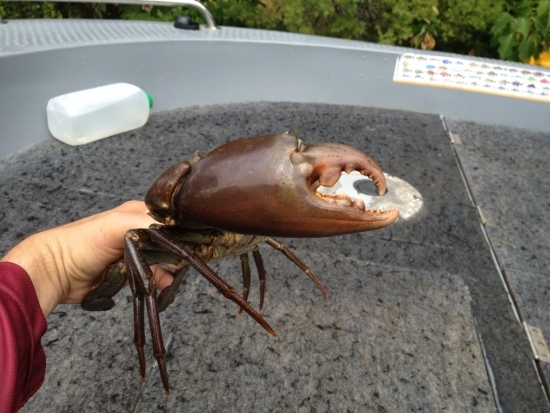 Mud crabs are in high demand in southeast Asian countries and in Australia. Usually, these critters are boiled and then seasoned or sautéed. Chili mud crab dishes are very popular. Sautéing them in onions and shallots with a bit of white wine is also a go-to dish. That is one big, meaty nipper! The first step to catching these in-demand creatures is to locate them. Most of the species of mud crab that are good for eating, meaning they grow big enough and are tasty, are located in southeastern Asia, Australia, and in Africa. 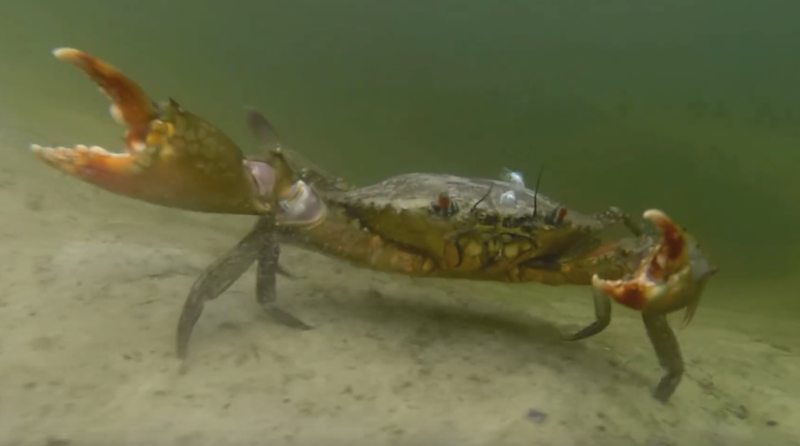 North American species of mud crabs (not the scylla serrate) are usually much smaller and don’t offer too much meat to eat, however, you can using them as bait for fishing red fish and sheepshead. Therefore, let’s focus on the edible ones. So where can you find them? Muddy Dump or Mud Crab Sanctuary? The mud crabs in the mud flats can be found hiding in and under trees, buried into a patch of mud, or even just out in the open. The trick is to train your eyes to locate them despite the fact that their carapaces blend into the environment or utilize a stick or some sort of long, poking mechanism to prod the mud. If you encounter something hard in the mud with a kind of hollowness when you poke it, it may be a mud crab. Once you’ve found them, catching them should be pretty simple. They aren’t very fast and can’t really hide anywhere other than where you’ve found them. If the location is accessible to you, chances are they can’t get far. You can use your hands to grab both nippers from the back. If you use this method, be sure to wear some type of protective gloves or just be very careful. Another way is to just place a bucket on the ground sideways and force them into the bucket. The possibilities to catch them here are endless. Be creative. Finding mud crabs in mud flats so the simplest and most economical way to catch these critters. You don’t need bait or any tool for that matter. Just a steadfast determination and adventurous spirit. However, this may be the more difficult way to catch them. If you can find places that look like the locations above, then there’s a good chance mud crabs live there. To catch them, usually people will use traps called crab pots/dillies. Since the water will likely have poor visibility, you wouldn’t really want to actively try and catch them using, for instance, crab rings. Instead, opt for the method of setting and forgetting. The basics are you have some sort of sinkable trap that holds bait where crabs can enter but have a difficult time leaving. You toss the trap in the water and basically wait or go do some fishing. After a span of hours (some people will leave the traps overnight), you come back to check on the trap and hopefully you have trap full of mud crabs. You can learn all about rigging and setting crab pots here. As far as what bait is suitable for the best chances of catching mud crab, well, this is debatable. Mud crabs are ‘omnivorous’ scavengers. They are also cannibalistic. They will eat dead fish, barnacles, oysters, etc. Popular recommendations to use as bait include mullet and chicken parts. The smellier, the better. Generally, crabbing and any wildlife-catching endeavor is regulated. You should always check your local rules before taking home any crabs. For mud crab in Australia, female mud crabs are protected. This means you cannot possess them at any time without a permit. Learn how to check the gender of a crab. The size of the crab also has to reach some threshold before you can take it. The size of a mud crab is determined by measuring the widest part of its carapace. In Australia, mud crabs must be a minimum size of 15 cm across the widest point of its carapace. There you have it, the basics on how to find and catch mud crabs. 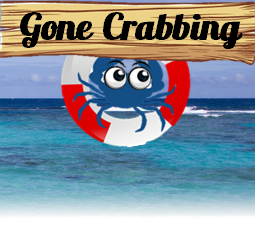 I hope you have a blast on your next crabbing venture that will hopefully end in a feast. Check out some recommended crab pots at the store to get you started. Also, check out how some YouTubers have caught and eaten their catch below. Cheers!